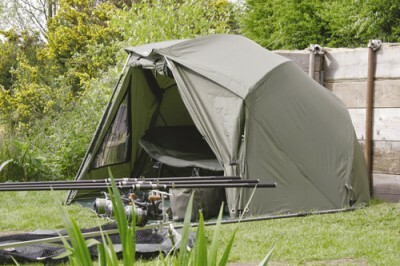 Trakker did not think the famous Trakker Big Z 60” Brolly Bivvy system would ever have a serious competitor - but we were wrong! The Specimen Brolly/Bivvy is running close! Pitches at a very affordable price. This Specimen Brolly is made from the same super strong, water proof nylon material as the Specimen Armo and Specimen Ultralite systems. Deluxe infill panel with mozzi windows/door. 2 x 26” storm poles. 2 x 48” storm poles. 16 x ‘T’ pegs + 4 x storm caps.